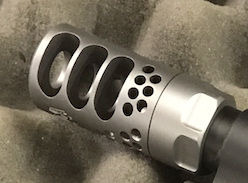 Custom CNC Muzzle Brake to reduce recoil. 5/8″x24 threaded. Comes with key for easy installation. Depending on Caliber please allow up to 10 business days before your order is shipped.